Howdy y’all! 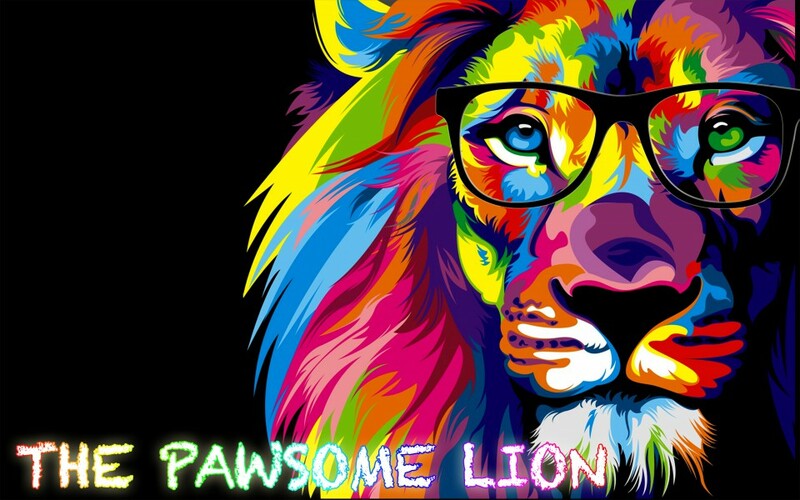 It’s The Pawsome Lion! Did you enjoy last week’s video? Have any of you given it a try? If you haven’t, then you should! Now Episode 3 of the kids’ series is out! For this video, it’s…Lamb Burgers! This is a lovely delicacy that we all enjoy. But, what about the history of this dish? Long long ago, burgers weren’t the type of burgers that we all know today. They were something slightly different. The first burgers came around in the Middle Ages. Travelling merchants from Hamburg learnt how to make patties from The Tartars of the Baltic Lands. They used raw meat for the patties and seasoned them with salt, pepper and onion juice. Pretty basic, right? Then another cook (nobody knows his name) improvised on the patties. He got pieces of beef, shaped them into round patties and broiled them.When these burgers arrived in the U.S, they were eaten quite raw, like the French still prefer their meat. The English and Irish were the first ones to cook their beef patties well done throughout. People in England named the burger ‘Salisbury Steak’, after Dr. James H. Salisbury, who advised his patients to eat a well done beef patty three times a day, followed by a cup of hot water to cure colitis, anemia and other illnesses. The first burgers weren’t actually eaten between two sliced buns though. It was only until the early 1900s (when burgers were popularised in America) that this eating fashion began. Apparently, the idea was invented by a gambler called John Montagu, the fourth earl of Sandwich. He stuffed his patties between slices of bread so it was more convenient for him. This way, he could eat right at the gambling table! The official appearance of the first ‘hamburger’ sandwich took place at the 1904 Louisiana Purchase Exposition in St. Louis, Missouri (this is also the birthplace of the much loved ice cream cone). In where we are today, the burger has many different varieties. For example, vegetarians can enjoy burgers in the form of ‘veggie burgers’! The patties in these burgers are made from soy protein and vegetables. A lot of people are also creating new types of burgers. A Welsh zoologist is working on a high-protein burger patty made from rat meat!🐭 A group of scientists with tainted tastebuds are also trying to make a new burger. They’re going to use cotton for the patty! I wonder how they will taste like? Another type of burger is the renowned Ramen Burger! The creator of this burger is a Japanese man called Keizo Shimamoto. He grew up in California and loved both parts of his culture: L.A (burgers) and Tokyo (ramen). He decided to merge both of these dishes together and create a whole new unique dish – The Ramen Burger, a twist on two dishes! In this dish, the normal burger bun is replaced with two circles of delicious, well-seasoned ramen! The Ramen Burger has spread worldwide and everybody loves it! Sounds PAWSOME! McDonald’s is one of the best selling fast-food restaurants that sells burgers. Till date, they have sold over 100 billion burgers!!! Stack all of them up and you’d get the height of 100 of the world’s tallest buildings!😱 McDonald’s also owns a place known as ‘Hamburger University’, where people are taught the basics of hamburgerology. It is located in Elk Grove Village, Illinois. So now you know a bit more about one of the dishes you love. It’s pretty amazing, huh? There’s been a lot of change over time! Don’t forget to watch the latest episode of the Sunday with Adam kids series! And in case you were wondering, hamburgers aren’t made of ham (they’re from Hamburg! 😛 ). p/s: Let’s Cook & Sway! When the prep was done, we moved on to the shooting. The first stage was setting the scene! Now this was a very crucial but time-consuming part of the shooting. It took almost 2 hours to set everything up before each shooting day! We had to make sure that the spotlights were in the correct position so there was no shadow. The cameras also had to be in the right place so everything could be seen. Alongside that, we needed a nice background so we had to make sure the surface that we were working on was SPOTLESS ✨! The ingredients also had to be at a high standard.That’s why, early in the morning, Mr OCD Uncle goes grocery shopping to make sure we have high quality ingredients! For example, apples had to be a strong tone of red and shiny, lemons and limes had to be the perfect shape and mint had to be fresh and crisp. Everything had to be to a T! Whew, was that hard! Then along comes the final step, editing! And boy, did that take a long time! Because of the time limit on Instagram, all videos have to be no longer than 1 minute. Can you imagine how hard it was to shorten a video with a total length of a few hours into 1 minute? And that’s not all! We had to make sure it had a flow. It also had to have connectivity. Last but not least, we had to find a song! And it couldn’t be just any old song, it had to be a song that matched the video, it had to be a song that suited it. The song had to be something that was catchy, something that would stick in peoples minds. Finally, we had pieced all the jigsaws together so our masterpiece was complete! So you see, a short but beautiful video has taken a lot of hard work behind the scenes. And it’s not just Sunday with Adam who works hard; the people who made the movies you love and the cartoons you watch have all strived and put their heart into their creation so they could make their own masterpiece. Now you know that some of the things you love have taken a lot of labour! Always appreciate other people’s hard work!